The Torah is composed of two parts: the Written Law and the Oral Law. The written Torah contains the Five Books of Moses, the Prophets and the Writings. Together with the Written Torah, Moses was also given the Oral Law, which explains and clarifies the Written Law. It was transmitted orally from generation to generation, and eventually transcribed in the Mishnah, Talmud, Midrash, and the entire corpus of Torah literature that was developed over the millennia. The word Torah means “instruction” or “guide.” The Torah guides our every step and move through its 613 mitzvahs. The word mitzvah means both “commandment” and “connection.” Through the study of Torah and fulfillment of mitzvahs, we connect ourselves and our environment to G‑d. G‑d’s purpose in creating the world is that we sanctify all of creation, imbuing it with holiness and spirituality. On the holiday of Shavuot, the entire Jewish nation heard from G‑d the Ten Commandments. The next day Moses went up to Mount Sinai, where he was taught by G‑d the rest of the Torah—both the Written and Oral Laws—which he then transmitted to the entire nation. Who says we need clarification of The Sefer Torah? 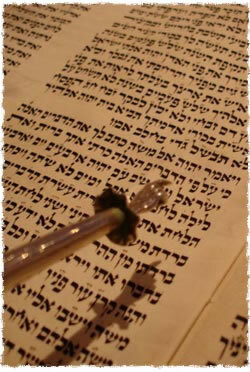 Every word from The Sefer Torah is from G-d and spoken by G-d, and as it says in Devarim, written by the finger of G-d. Thus, since everything is The Word of G-d in The Sefer Torah, we don't need clarification about "what it means." There is an infinite amount of wisdom in every holy vowel, letter, word, and concept in The Sefer Torah. You can't say something is written by G-d and given by G-d and we need more clarification. Could G-d not clarify himself enough? Of course not. Adding commandments to The Torah and calling them "safeguards" is a violation of Devarim chapter 4, which says to not add to the commandment which G-d commands us. Could it get any more clear than this?